Jeremy Lepisto, 2016. Image by Adam McGrath. Lepisto received his Bachelor of Fine Arts from Alfred University (in Alfred, New York USA) in 1997. He majored in Glass and Metals (with minors in Art History and Art Education). After graduating, he made his way to Portland (Oregon, USA) and was hired to be the Production Manager Apprentice at the Bullseye Glass Company. This role allowed him to work in every facet of the Bullseye factory’s glass production areas as well as with any visiting artists who came to work at the factory. In addition, he was also engaged to teach classes and research new glass chemistries and processes. This experience formed the basis of his glass kilnforming knowledge. In 2001 he left Bullseye and started an independent studio. Studio Ramp LLC, was a custom glass kilnforming fabrication studio that translated artists and architects designs into glass from concept to completion. The studio typically worked on 8-12 client projects at a time over their eight-year history. The studio was also a place where artists made their own artwork as well as a stable platform from which they could engage with the wider creative community. For Lepisto this included exhibiting his work and lecturing internationally as well as serving on the Board of Directors for the Glass Art Society for over 7 years (with one year as Vice President and two years as their President). After re-locating to Canberra, Lepisto established an independent glass studio, Workshop Level in Queanbeyan. With this facility, Lepisto is again making kilnformed works for other people as well as working on a body of practice led research for a PhD degree in Sculpture from the Australian National University. He also serves part-time as a Technical Officer in the Sculpture Workshop at the university. For an abbreviated and complete CV for Jeremy, please go here. To inquire about Workshop Level and its services, please go here. I make artwork that incorporates and is inspired by the forms and images of my everyday surroundings. With my exploration and utilization of the purpose-constructed elements of the built environment, I look to transliterate the duality of connected and developing narratives involving both individuals and place into form. My attempts toward this singular aim have been formally divided into separate series of works to better concentrate the concepts of my constructs that have prominently utilize methods of integrating imagery into/onto glass forms. This approach has enabled me to build a cohesive visual vocabulary over the span of my series and my incorporation of glass (as a medium) has allowed me to allude to the complex in the common by simultaneously showing the simple surface and complicated center of structure. My series are built to be both personal investigations and comments on the spaces (physically and emotionally) that we all share. My first series was the Bridge Series and was inspired by the dilemmas and decisions experienced when connecting a situation with an outcome. Each work from this series was built in reflection of a personal situation and yet, through the use of forms and imagery of everyday areas, was also constructed to span to connect with the experiences of others. My most current work is inspired from a personal experience and is further informed from my practice led research pursuant to a PhD degree in Sculpture within the College of Social Sciences at the Australian National University in Canberra, Australia. My research began in June 2011, exactly two years after my wife and I dispatched an 18 cubic meter-shipping container filled with a carefully considered and condensed collection of our lives’ belongings from Portland, Oregon to Canberra, Australia. This action not only started a new chapter for us, but the experience cemented my interest in the idea of the modern shipping container as an agent of transference. With the availability and aid of our shipping container, we internationally transported our goods safely and efficiently. In the same act, we also exchanged the epicenter of our lives. This shift altered our personal connections, timelines and situations to both people and places. The outcomes of doing so were both positive and negative and concurrently affected the arc of our personal agencies. The delivery of these unintended advantages and drawbacks related to our move fortified me to select the construct of the shipping container to be the focus of my current practice led research. Beyond my personal experience, I believe that the invention and implementation of the simple structure of the shipping container has led to a duality of global developments for both people and places that now connect, affect and aid their separate growth and abilities. My practice led research therefore focuses on the constructs of the modern shipping container to widely explore its analogous affect upon the transference of agency for both people and places within a sculpture-based context. This publication discusses the 2016 finalists of the Tom Malone Prize 2016 at the Art Gallery of Western Australia. ﻿This exhibition catalog marks the﻿ inaugural show and the included works for Kirra Galleries' 2014 Kiirra Illuminating Glass Award. This exhibition and award by Kirra Galleries was held in participation and with the support of Fed Square Pty Ltd. The winner of this year's award was Robert Wynne for his work, "Raven's Clutch". 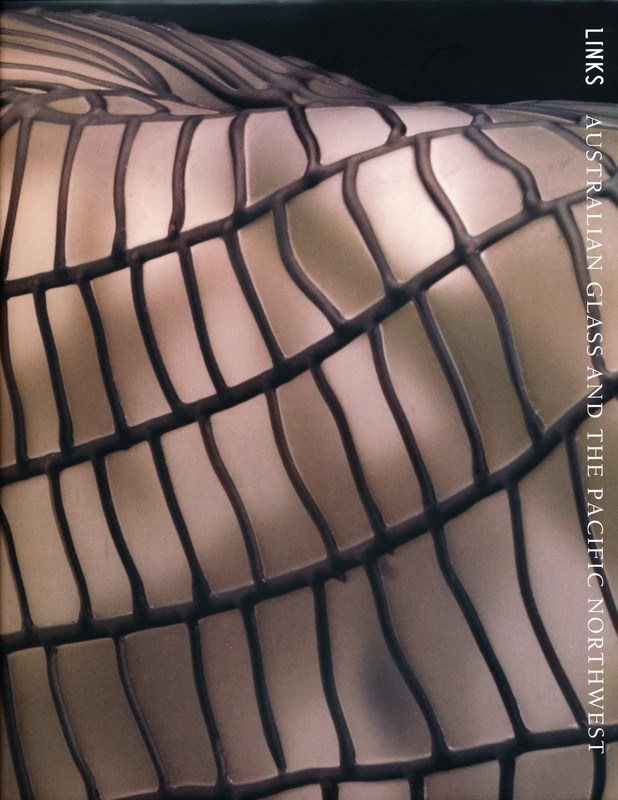 This publication details the work and constructs that involve the "links" between artists working with glass in Australia and the Pacific Northwest of America. 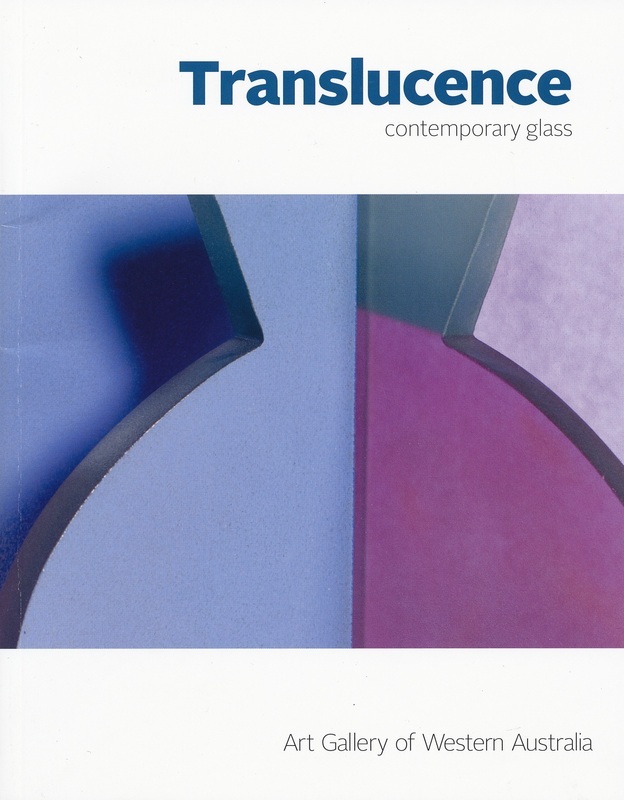 This publication discusses the collection of contemporary glass at the Art Gallery of Western Australia. Within this issue is an article about my recent work and move to Australia. 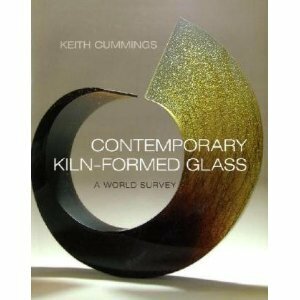 This book highlights some modern practices and practitioners of kiln-formed glass. 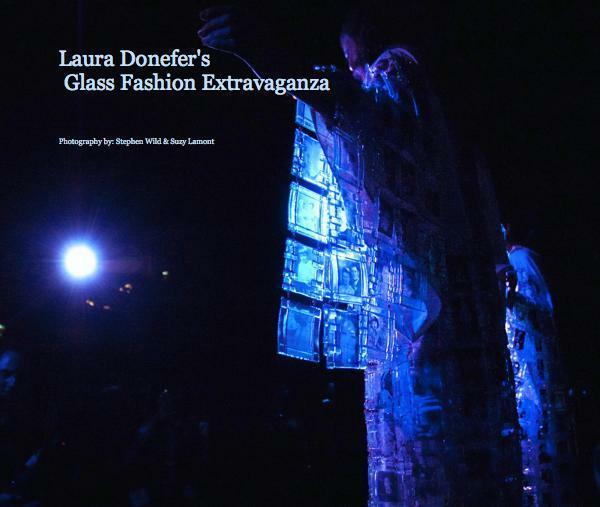 This book documents the glass fashion show put on by Laura Donefer for the 2009 G.A.S. conference in Corning, NY. "This book presents 200 photographs of contemporary glass that originally appeared in New Glass Review between 1980 and 2004." This book highlights various glass artists focusing on various disciplines and techniques of glass art. This book is a visual sampling of some contemporary artists working in glass. 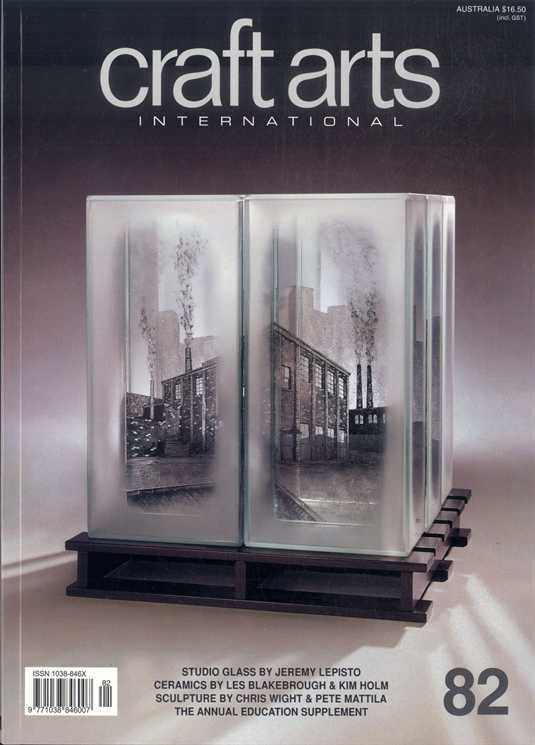 This book is a starting point for any glass artist needing information on the techniques, equipment, and various processes of their craft.